Wir freuen uns mitteilen zu können, dass unsere Frisurengestaltungslehre ab sofort in Hair Concept 3D education enthalten ist. Lehrer und Schüler können mit dieser neuen Funktion die theoretischen Grundlagen der Frisurengestaltung durchgängig bebildert erarbeiten. Die Schüler können anschließend die theoretischen Erkenntnisse gegenseitig praktisch anwenden. Über die Möglichkeit hinaus, Gesichter mit vielen Frisuren darzustellen, bietet Hair Concept 3D education viele weitere Funktionen speziell für den Berufsschulunterricht: Es ist ein modernes Lehrmittel, das mit integrierten Musterprojekten, echten Fallbeispielen aus der Community und den Lerninhalten unserer neu überarbeiteten Frisurengestaltungslehre einen abwechslungsreichen und interessanten Unterricht zum Lernfeld 4 ermöglicht. Wenn Ihre Schule bereits Hair Concept 3D education einsetzt, ist die Gestaltungslehre kostenfrei für Sie per Update verfügbar. As of today, our end customer app Hair Zapp is extendable with features for hairdressers! By signing a subscription from the app (button "Premium") you can activate and use all professional features. 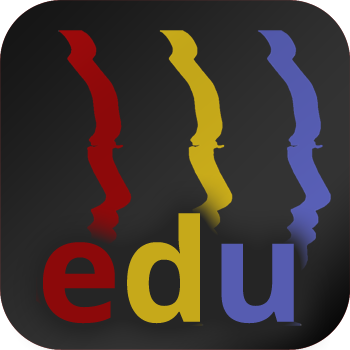 We are proud to be able to offer a professional hairstyle simulation solution for all common devices, whether Android smartphones, Apple iPhone or iPad. Thanks to the flexible subscription models, the entry into the world of comprehensive hairstyle, type and style consulting has become much cheaper. We are very close to finishing the brand new iOS version for iPhone and iPad. Our premium features for hairdresser's salons and style advisors will be paid in app subscriptions in Hair Zapp (iOS). Subscribers will be able to use all professional features such as filtering, changing color, deforming, the Hair Zapp Ad Network, unlimited projects, and many more! 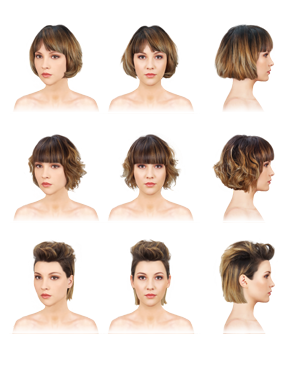 As of today, Hair Concept 3D is available in Google Play Store. The download is free, to use Hair Concept 3D a license or an in-app subscription is mandatory. Existing licenses do not loose their validity, of course. To get the new version, existing users just tap "I have a license number" in the welcome screen, and supply the license code from their golden license card. As of now, a special version of Hair Concept 3D is available that is adapted to the use in professional schools: Hair Concept 3D education. Besides having deactivated all features that are not meant to be used by the pupils (hairstyle shop, etc. ), the highlight of this special edititon is its face library. It comprises over 20 exemplary client projects that make it possible to visualize and experience theoretic design rules practically. Moreover, the education version comes with the currently maximally possible hairstyle choice of 944 styles, including also historic hairstyles. Wir haben den Sommer genutzt, und Hair Concept 3D gründlich überarbeitet und weiterentwickelt. Das Update ist ab 2. November 2016 für alle Hair Concept 3D-Lizenzen kostenlos erhältlich. Sehen Sie sich schon heute alle Neuigkeiten an! After our marathon session last december, we have met for another foto session in Mr. Lupps salon. This time, male hairstyles stood in the focus, and we are thinking about entering the field of beard fashion. Stay tuned! To extend our repertoire regarding asian hair fashion, we have organized a foto session the salon Ginza Matsunaga in Frankfurt. Owner Mrs Saara Goda prepard many typical japanese hairstyles for us in her japanese salon. The results of this session can be expected to be ready in autumn. The results of our foto session in salon Lupo - über kurz oder lang are available as of now. The new hairstyle package Trend 2016" contains 75 brand new hairstyles. We have worked on finishing our new hairstyle packages since the foto session last december. Over a whole weekend, master stylist Mr. Lupp (well-known from several TOP HAIR trend images) gave our team a complete fashion update. Since then, out of 1400 captured images we have selected, cut-out, retouched, adapted and made avaialable the best, most fashionable and most wearable styles. You will be pleased by the results! Exclusively for us, Mr. Lupp has provided 25 models that got their hair cut and got a finish. Then, from every cut, Mr. Lupp created 3 different breathtaking finishes. After returning from Bologna, we are happy to anounce that our participation in this international business exhibition was a full success. During the 4 exhibition days, we had promising meetings with many distributors and hair care wholesalers from all 5 continents and could also reach first agreements. Already in a few months, we expect Hair Concept 3D to be available for hairdressers in many additional countries. Moreover, we provided first insights into the upcoming novel Lupp hairstyle collection. After long months of masking and retouching work, we hope to be able to release the finished collection in May. 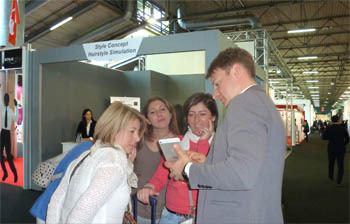 We can confirm our participation in the international hairdressers and beauty fair Cosmoprof in Bologna, Italy. Visit our booth D47 in hall 35 from Friday, march 18th until Monay, march 21st 2016! We are happy to anounce that we have found a strong retail partner Hair Haus to extend our distribution network for Hair Concept 3D. After a successful training with Hair Haus' in-house professional staff, the field staff is well prepared to present Hair Concept 3D to their customers. Interested hairdressers have the prossibility to see the program live in action in their own salon, and to assure themselves of the high quality of the product. The sales representatives bring a demonstration device with them such that hair dressers can test it on their own. Last weekend, our two-day photo session in the salon Lupo - Über kurz oder lang took place. The owner, Stefan Lupp, gave us a broad preview of next year's trends. He created many ultra-modern and at the same time wearable styles. Special feature: Each of the 30 models was styled three times differently by Mr. Lupp and his team. 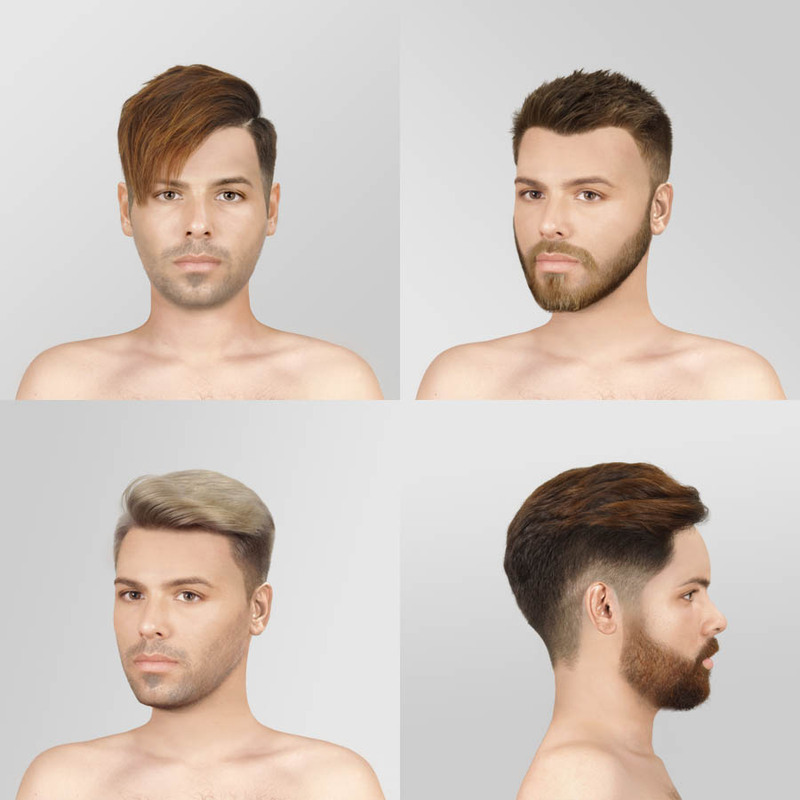 This will provide our users with a completely new perspective in the future, because they will be able to view different stylings and finishes of these new haircuts. In total, we expect to gain more than 100 new hairstyles from this marathon session. 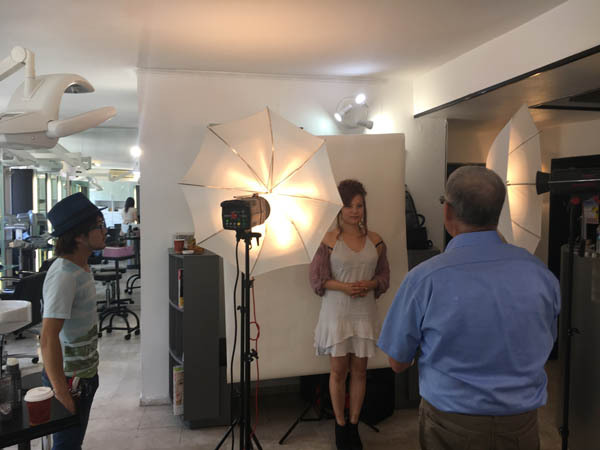 In the upcoming months, we will be working on the photographs taken, crop the hairstyles and process them to release the new packages next spring.